SOL REPUBLIC has been making a name amongst the college scene since 2011. By creating headphones and speakers from the ground up which merge great sounding and style. SOL belives in building a community of music fans. With names like Steve Aoki, Laidback Luke, Borgore, and Lil’ Jon backing their products and leading the EDM community. 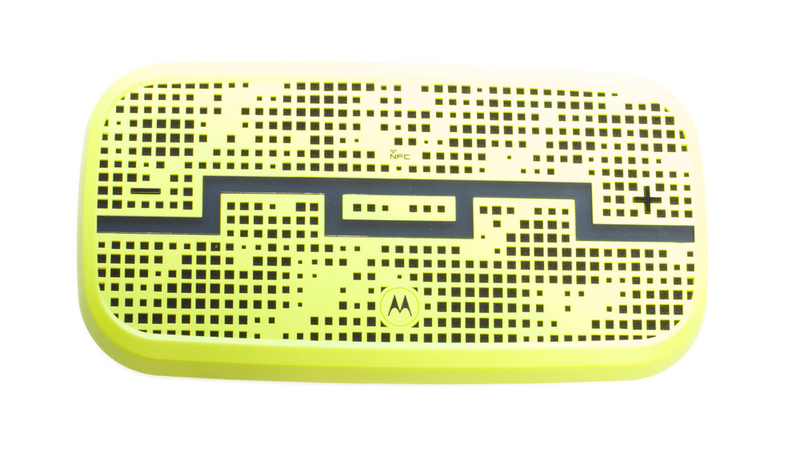 SOL REPUBLIC teamed up with Motorola to break into the portable speaker market. 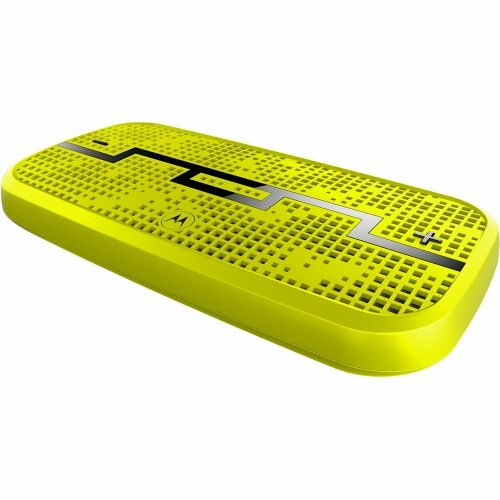 With the “Sol Republic DECK” a bluetooth compatible speaker with all the bells and whistles you could ask for and more while keeping it stylish with a an original flat look available in Black, Lemon-lime, and blue. Packaging of the Deck was very well done while displaying the unit nicely. It was easily unboxed. However, it did take a few seconds to find out where the cables and manuals were stored. I for one always feel the first few charges are important in order to condition a rechargeable device right. Because of this, I used the 1.1amp charger the DECK came with and gave it a good charge indicator light turned green. Some users have claimed their DECK came with a full charge. Whereas my DECK lit red indicated it requires a charge. The SOL DECK comes with a nice carrying bag in black with the SOL logo across it. The logo side of the case appears to be made of a type of synthetic mesh letting sound pass through the bag unaltered. The other side uses a stretchy neoprene material which lends to some waterproof protection. There are no zippers or velcro to worry about on this bag you simply close it by flipping the end over its self. I was very excited about testing this but was holding off for a full charge. Normally my goto Bluetooth speaker is a Jambox mini for small things and a Bose ???? for larger ones. I’ve been interested to find out where the SOL DECK falls in. The SOL DECK feels lighter than it looks, mostly because of its ABS like plastic body. By no means does this speaker feel flimsy in your hands. Flipping the unit over will reveal a tacky rubber pad which stops it from sliding around. Buttons are very responsive with a clicky feel letting you know it's been pressed. If the audio chimes weren’t enough. There are additional jacks on the unit which we will get more into later. With a green light indicating I have a full charge, I’m was ready for pairing. Across the top of the deck, there are 2 buttons and a few jacks. I wanted to use the DECK in single user mode, because of this I made sure the slider button is set to the icon illustrating a single user. Once that's done I press and held the power button also on the top of the DECK. You will be greeted with a chime and a voice indicating your ready to pair. Now all you have to do is to head over to your device and pair it. In my case, my device is an iPhone5s running iOS8. With an iOS device, you always want to head into your bluetooth setting (general-bluetooth). You will now see a new device named "DECK" in your list. By clicking on DECK, it will automatically pair. Go ahead and click it, you will be greeted with another voice indicating your battery status when done. Now it's even easier if you're running a device supporting NFC all you would have had to do is tap the center of the DECK to pair and you're done. I was pleasantly surprised at how clean the vocals were along with the clarity of the high-end. Even at max volume everything sounded clean but what really surprised me was the absence of clipping and distortion at max levels. I will revisit sound quality and comparisons later on. SOL’s documentation suggests a bluetooth range of close to 300 feet. I will say that i am very impressed with the range it’s hands down better than any other bluetooth device I have used, however it did not come anywhere close to the advertized range. I was able to get a good 60 feet with good line of sight before noticing some cracking. For the most part, the Bluetooth signal was solid throughout my house. I noticed the DECK had no problem going through one or even two walls but struggled with a third. Mode is a key and unique feature of the SOL DECK giving 5 paired devices the ability to interrupt what's playing with their own music. You can tell whose music is streaming to the DECK by the color of the glowing SOL logo. They're maybe time where you may want to stop the device jumping. Simply hit the “M” button while a song is playing to lock in that device. This mode can be enabled simply by moving the switch on top of the DECK to an icon representing a group of people. Pairing is done in the same fashion as the single user mode. We made at least a dozen calls using over this past week and found the DECK to work very well. Sound and pairing were spot on as expected. Sitting at a foot away from the DECK, we found the mic quality is on par with any non noise cancellation speakerphone. Is basicly an equalizer preset built-in. By holding down the “M” button while in single user mode will prompt an audio chime telling you that you're in an outdoor mode. You will notice outdoor mode seems a bit louder and carrys more, mainly due to the highs and mid's. While the low-end seems to fade away. 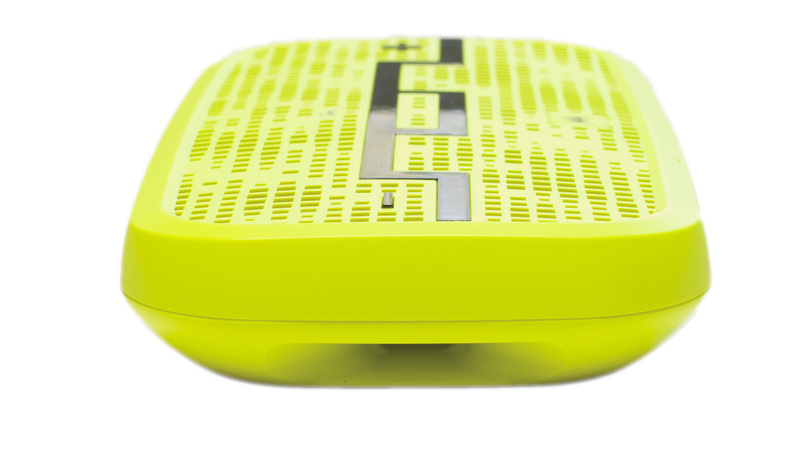 Most portable speakers nowa days come with an audio input port. But the SOL DECK goes one step further with adding an 3.5mm audio-out port in addtion to the 3.5mm audio-in port. This may just roll off your back if you don’t take a second to think about it. With an audio-out port, you could easily daisy-chain additional portable speakers (not just DECKS) or connect a set of headphones or mixer it really opens things up. I was a bit worried testing this out thinking audio would be out of sync however I was pleasantly surprised it all stayed perfectly in sync. I don’t belive the DECK was developed with just pumping out music in mind, but instead to be flexible enough to sound good with all types of media. Allot of reviews out there will point out how good the mids to highs and the lack of low end. However, if you consider the deck as a speaker intended to fill multiple roles your needs and view may change a bit. Yes, I will agree with those saying that it was lacking some low end. But because of this you can crank the volume to max without any cliping. The key here though is the attention they took in creating clean vocals making for a better experience with Podcasts, Youtube and even Movies. I will also note I did not notice any lack of low end here. Hardware was done great and belive SOL made a good decision teaming up with Motorola who have been building hardware for decades. Paring multiple devices and jumping between them with their Heist mode worked flawlessly. Bluetooth range may have been exaggerated a bit or maybe they test differently. For me signal degradation to the point of choppy audio was close to 60 feet. This is considerably further than any other Bluetooth device I’ve used which honestly surprised me. The additional audio ports were a nice bonus. Most portable speakers provide an in-port, but SOL took it a step further by providing an out-port as well giving you a way to daisy chain portable speakers, which are great for those outdoor partys. If you're looking for a flexible portable speaker to fill multiple roles with tons of features the SOL DECK should be at the top of your list like mine.